I heard an interview over the weekend on the use of robots in war. A fascinating bit from that story was that as modern warfare moves to soldiers manipulating robots from afar, the military leveraged the existing research and development of game companies in the design of hand held controllers (at 13:43 in the streaming interview). So the predator drone remote control probably looks very similar to your PS3 or Xbox controller! It makes sense as both tasks are nearly identical (as far as I can tell). It was also interesting that the 19-year old Army specialist who trains remote operators honed his skill by playing video games (at around 14:30 in the interview). Related, the Designing for Humans blog has a great, multi-part series on the ergonomics for interaction designers. Part 3 is very relevant to hand held controller design. Paper to the rescue again! But a year after surgical teams at eight hospitals adopted a 19-item checklist, the average patient death rate fell more than 40 percent and the rate of complications fell by about a third, the researchers reported. 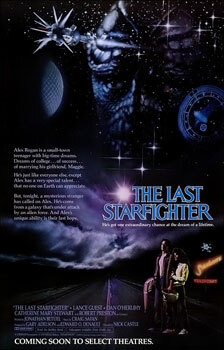 We always recommend the primary source at the HFblog, so you can read that for yourself here. Right-click to download the (PDF). Results The rate of death was 1.5% before the checklist was introduced and declined to 0.8% afterward (P=0.003). Inpatient complications occurred in 11.0% of patients at baseline and in 7.0% after introduction of the checklist (P<0.001). I was personally impressed at the scope of this study. They didn’t just look at one hospital, or even several US hospitals. They found these effects in Toronto, Canada; New Delhi, India; Amman, Jordan; Auckland, New Zealand; Manila, Philippines; Ifakara, Tanzania; London, England; and Seattle, WA. One caveat was the possible presence of the Hawthorne effect. It’s possible, though their data collection spanned 6 months, which sounds long enough for people to relax back into their normal habits. Haynes, A.B., et al. (2009). A Surgical Safety Checklist to Reduce Morbidity and Mortality in a Global Population. New England Journal of Medicine, 360(5), 491-499. 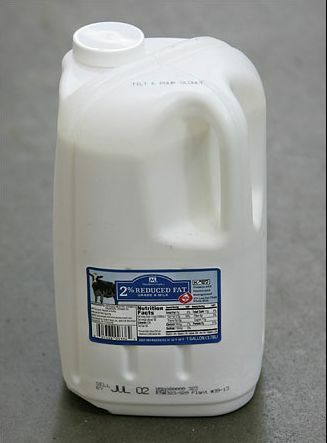 A square milk jug has lots of benefits; because of its square shape, they stack more efficiently compared to existing milk jugs. The shape makes it so that cartons of milk won’t require milk crates. The net result is reduced transportation costs. However, it seems they are not so easy to pour. According to the NYT article, training was required to show shoppers how to pour without spilling. Mary Tilton tried to educate the public a few days ago as she stood at a Sam’s Club in North Canton, about 50 miles south of Cleveland, luring shoppers with chocolate chip cookies and milk as she showed them how to pour from the new jugs. “Just tilt it slowly and pour slowly,” Ms. Tilton said to passing customers as she talked about the jugs’ environmental benefits and cost savings. Instead of picking up the jug, as most peopletend to do, she kept it on a table and gently tipped it toward a cup. The fact that training is required makes this jug seems like a lazy design. There must be a simple design solution that keeps the benefits of square milk jugs but makes pouring “intuitive”? I went on a trip to Tucson over the holidays and toured the last Titan II missile silo. A brief history: from 1963-1982 these missiles were part of the cold war “peace through deterrance” and “assured mutual destruction.” In essence, they provided one reason not to attack the US: even were we destroyed, these missiles would still launch to destroy the Soviet Union. 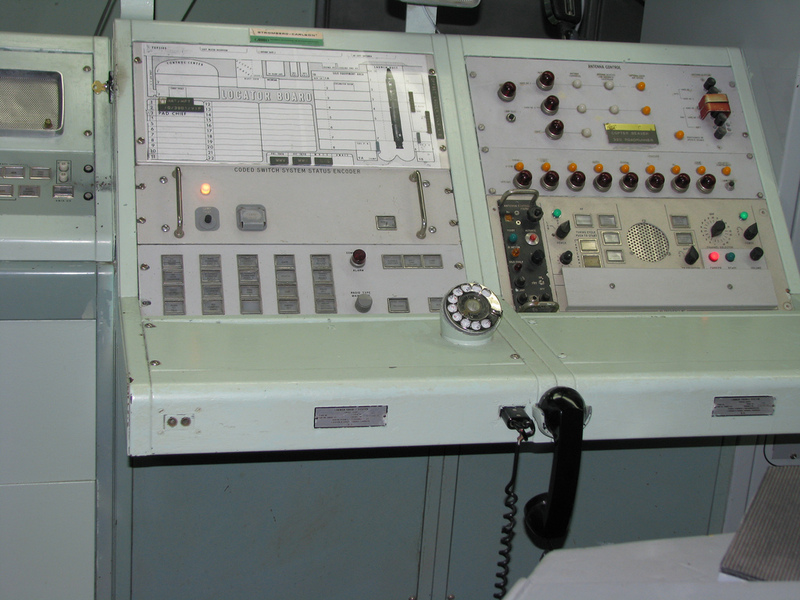 Politics aside, the control room and interfaces for these missiles were fascinating from a human factors perspective. 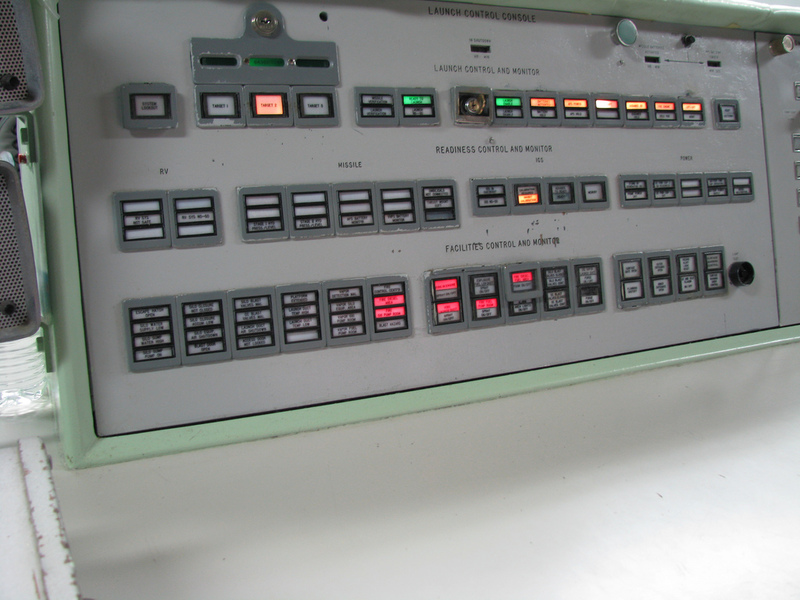 Gauges, buttons, and rotary inputs reside where we now would expect screens and keyboards. I reflected on this while there: though you need a button for each function, at least the interface never changes. A little more history: The Titan sites do not have a perfect safety record. With 54 sites operating for almost 40 years, there were 4 recorded accidents, all where lives were lost and one early fire where 53 people died. Fortunately, none of these accidents resulted in a nuclear explosion, not even in one where the nuclear piece of the missile was blown out of the silo. This site provides a list and engineering analysis of the accidents, and I would be interested in a human factors analysis. The missile was housed in a silo within a silo that consisted of eight levels. Maintenance crews were working on level two when the accident happened. Attached to the hydraulic standing platforms was a rubberized boot that flipped over between the missile and the platform to prevent anything from falling through if dropped. The day missile 374-7 exploded, the boot didn’t keep the socket from falling. At 6:30 p.m., maintenance crews entered the silo to begin work after being delayed due to various unrelated equipment malfunctions. The eight- and three-quarter-pound socket fell, hit the standing platform and bounced toward the missile. The boot had become too pliable through the years, and the socket fell 70 feet down the silo, hit the thrust mount and bounced into the side of the stage one fuel tank. The 100,000-gallon fuel tank emptied into the bottom of the silo. The fuels interacted and generated heat, which in turn increased the pressure on the tanks. At 8 p.m., the wing made the decision to evacuate the control center. “When we did that, we had no readings and no way of telling what was going on out there,” Gray said. “We lost all readings,” Gray added. Many attempts were made to get into the control center to see the readings, according to Gray. At 3 a.m., two people, Living-ston and Sgt. Jack Kennedy, made it into the complex. “When they made it in and had to back out because the fuel was so concentrated they couldn’t see, there was some controversy on who told them to turn on exhaust fan 105,” Gray said. What that did, according to Gray, was pull the heavy concentration of fuel into the equipment area with all the electrical pumps. Within one hour of the accident, Gray found the nuclear warhead intact. “It was cracked, but it pegged out on the radio-activity scanner,” Gray said. Lessons learned from this accident brought about security improvements near nuclear weapons. Security measures to prevent accidents include: all workers wearing a belt with lanyards to attach tools to, a cloth on the platform to reduce the chance of tools bouncing off the platform if they do fall and a renovation of the platforms. One of our tour guides had actually been stationed at the silo. He was a great guide and a living piece of history. Consistent with what you might expect, he said the hardest times to keep the missile running and protected were the down times, hours of vigilance and inactivity. Reference SACR 100-24, Volume VI to determine if key run up is required. Step 8 can only be performed when SYNC indicator is lighted in NORM modes or TRACK/TRSHD indicators are lighted in SPCL modes. 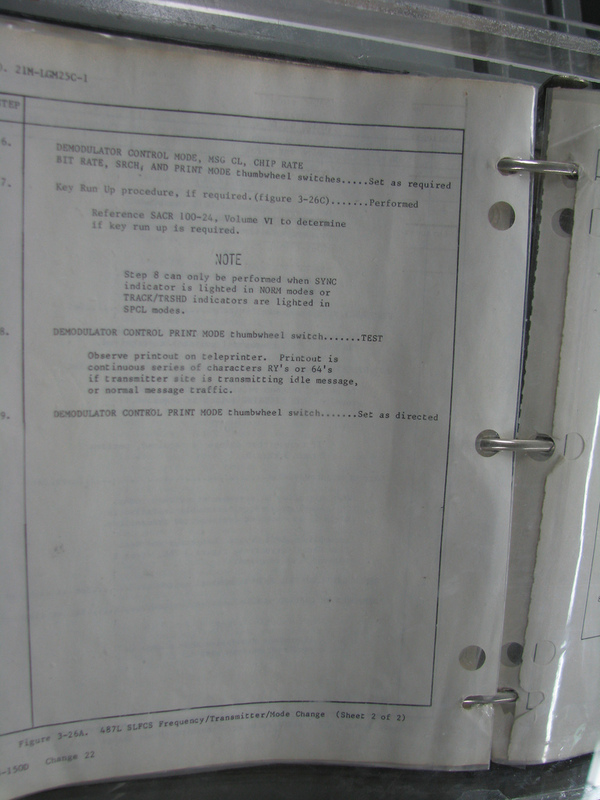 Observe printout on teleprinter. Printout is continuous series of characters RY’s or 64’s if transmitter site is transmitting idle message, or normal message traffic. *PVD must be continuously monitored visually or aurally. 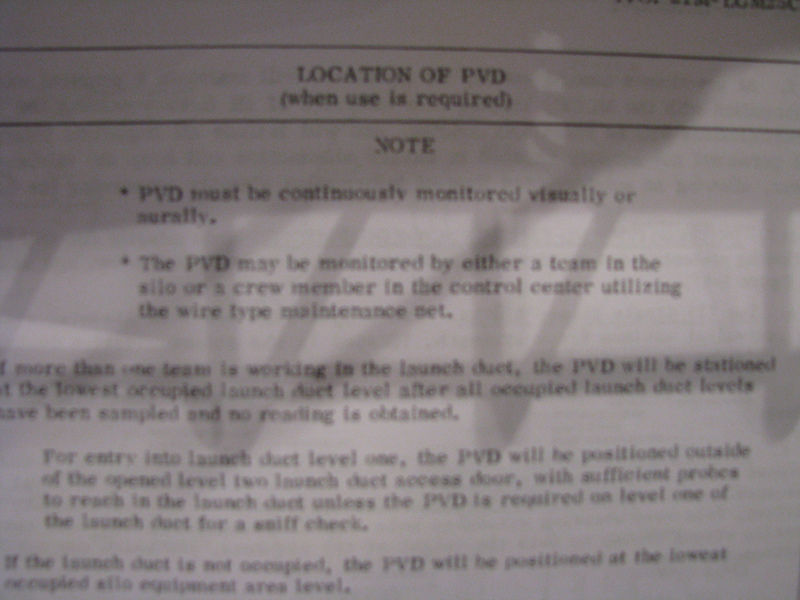 *The PVD may be monitored by either a team in the silo or a crew member in the control center utilizing the wire type maintenance net. For entry into launch duct level one, the PFC will be positioned outside of the opened level two launch duct access door, with sufficient probes to reach in the launch duct unless the PVD is required on level one of the launch duct for a sniff check. Generally, I notice a large number of if/then/or/only types of commands. I have only one last thing to say: the fact that Tucson, AZ, Damascus, AK and Wichita, KS are still around is a testament to the power of training and practice over our human frailties. Here is a really neat study that found that adding a picture of a patient’s face on a CT scan caused doctors to be more careful when examining the images. The researchers proposed mechanism for the effect is that the faces induced doctors to have more empathy for the patient which led them to more carefully analyze the images. Whatever the mechanism ends up being, it really shows the power of simple changes in the task/interface leading to practically relevant differences in performance. The study’s focus was not on the ailment the scans were meant to evaluate, but rather on incidental findings that often show up on CT images, such as kidney cysts in patients scanned for suspected appendicitis. Doctors reported these extra findings in 81 scans when the photos were included. Three months later, the doctors unknowingly viewed the same 81 scans, but without patients’ photos. This time, the doctors failed to report 80 percent of the incidental findings. 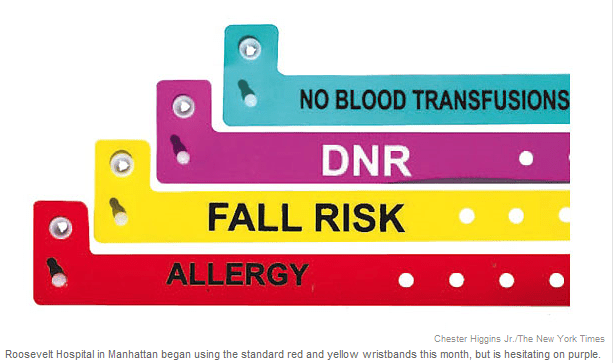 New York’s 11 public hospitals are at the forefront of a national movement to standardize color coding of hospital wristbands to designate patient conditions, in which purple — the color of amethyst — means “Do Not Resuscitate.” Red, or ruby, indicates allergies, while yellow — call it amber — marks someone at risk for falling. The goal is to prevent potentially dangerous mistakes, like giving the wrong food to an allergic child, or allowing a patient with balance problems to walk unescorted down a freshly waxed hallway. The drive was spurred, in part, by a notorious 2005 Pennsylvania case in which a patient nearly died because a nurse used a yellow band thinking it meant “restricted extremity” (don’t draw blood from that arm), as it did at another hospital where the nurse sometimes worked, when at this hospital it meant D.N.R. RALEIGH – No more “Inner” and “Outer” for Raleigh’s Beltline. Soon it will be Interstate 40 and Interstate 440, east and west. The state Department of Transportation is about to make good on a long-standing promise to get rid of the Inner Beltline and Outer Beltline signs that get lots of motorists mad, confused and lost. This human factors redesign feels personal. I’ve bemoaned the difficulties with the Raleigh loop signs for as long as I’ve lived here. I know people who have no trouble with it, but I am incapable of translating “inner” or “outer” into actual directions, especially during the multi-tasking required for driving toward an entrance ramp and thinking about where my destination is in relation to my current position. I think the greatest difficulty comes from translation. To know which way the inner beltline goes, the driver must mentally step through the following (at least until s/he just memorizes what ramp to take). Raleigh is surrounded by a loop with 12 o’clock in the north. I’m at about the 9 o’clock position approaching an on-ramp from outside the city. My destination is close to the 4 o’clock position, so it would be best to go right to get there. Right is inner or outer? Ok, inner means inside the outer. In the U.S. cars go in prescribed directions on certain sides of the street, so looking down at the beltline I can expect cars on the inner side to be going north from where I am. So that means that the inner beltline is going clockwise? No wonder I’m always late. For a bonus, don’t miss out on the typical “common sense” comments attached to the News & Observer article. Most everyone probably heard about the gun accidentally fired in the passenger plan cockpit last week. But did you hear about the designs that lead to this human error? 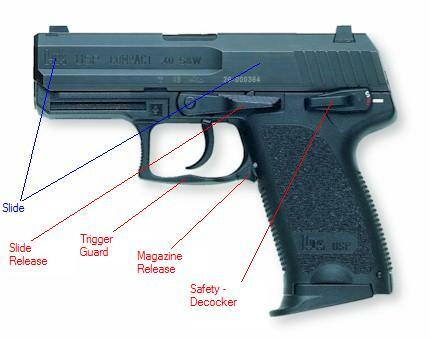 Here is the gun in question (or similar enough) showing the safety and the spaces in front of and behind the trigger. 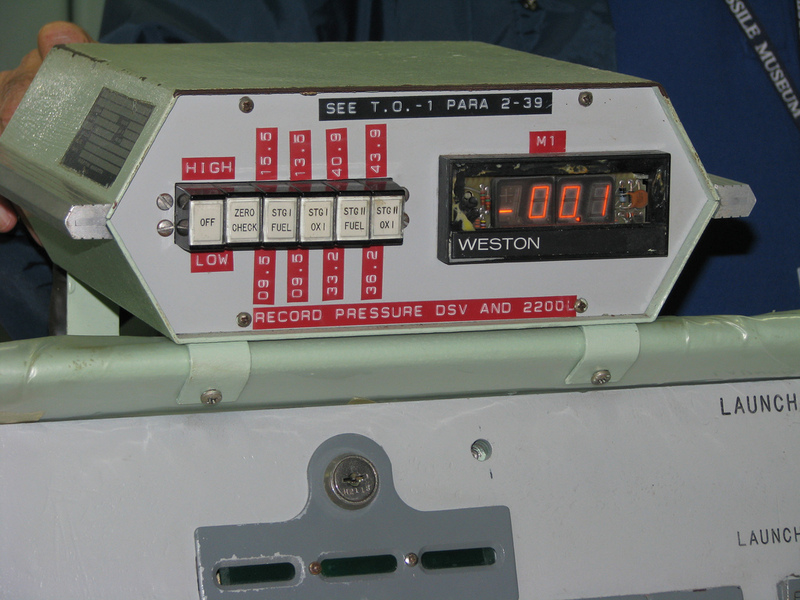 Pilots keep the gun in a hoster (see below). The TSA requires pilots who have been issued these guns to padlock the trigger for every takeoff and landing. Reports are that pilots do this about 10 times for a shift. Therefore, let’s assume we have 10 chances for error in using the holster and in using the padlock. The padlock goes through the trigger. It should go behind, to keep anyone from pulling the trigger. If the gun is 100% in the holster, this is the case. 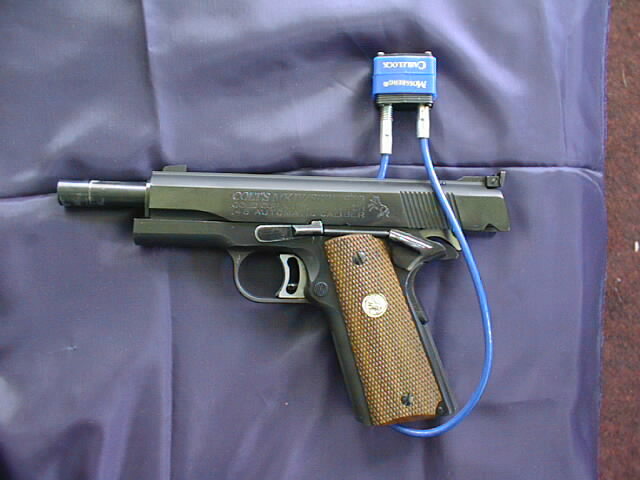 If it is not… then the padlock can end up in FRONT of the trigger. 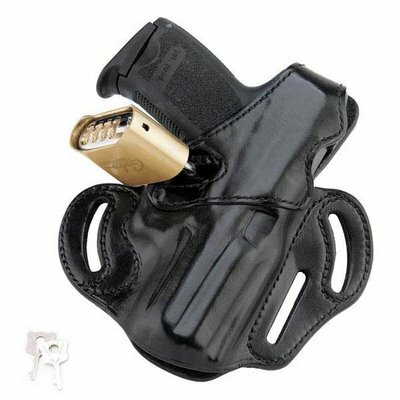 The opaque holster prevents a visual check of the trigger. The holster also prevents a visual check of the safety. I’m not even going to discuss whether pilots should have guns. What if a Radio DJ hosted a morning show and no one heard? Lesson learned! I will try to make certain to hit ‘publish’ at the end of this post. “”I’ve been doing the show three days a week for 10 months and always pressed the button at the right moment. Goodness knows why I forgot this time. NPR ran a story earlier this week on an intriguing new human factors problem: fire-safe elevators. The fall of the World Trade Center made it painfully obvious that stairs in skyscrapers do not function adequately in emergencies. We’ve always been warned away from elevators in case of fire, and I would go so far as to say it part of our collective knowledge from a young age. 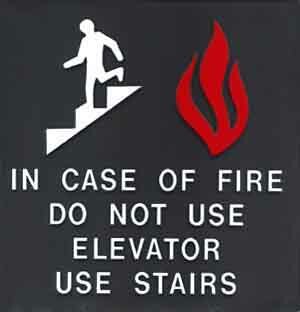 With the advent of elevators you should use in a fire comes a host of difficulties. 1. Training the zeitgeist: Not all elevators will be replaced, though new tall buildings will all have fireproof elevators. There may be new rules requiring older buildings over a certain size retrofit at least one elevator as fire safe. 2. Warnings and Information: The symbol in this post is probably familiar to all of you. I’ve occasionally seen it in Spanish, but not often. How will we indicate the difference between fire-safe elevators and other elevators? Decals, signs and other indicators will not only have to indicate which elevators are safe and their purpose, but whether other elevators in the building are safe or unsafe. My building is square, with elevators on mirrored sides. If one were safe and the other not, I am sure I could remember which was safe, especially under the cognitive demands of an emergency. 3. Wayfinding and luck: Use of the elevator may depend on the location of the fire. One of the original problems was that elevators opened onto smoke-filled or fire-filled floors. The story did not specify how the new elevators would avoid this. If there is a sensor that prevents them from opening onto such a floor, what if there are people desperately waiting for the elevator on that floor (as they have been re-trained to do)? Should the system be even more complex, with people gathering on certain floors to await the elevator rescue? And then, if those floors are on fire.. In short, researchers start your engines! We have some training, warning, design, and way-finding work to do.